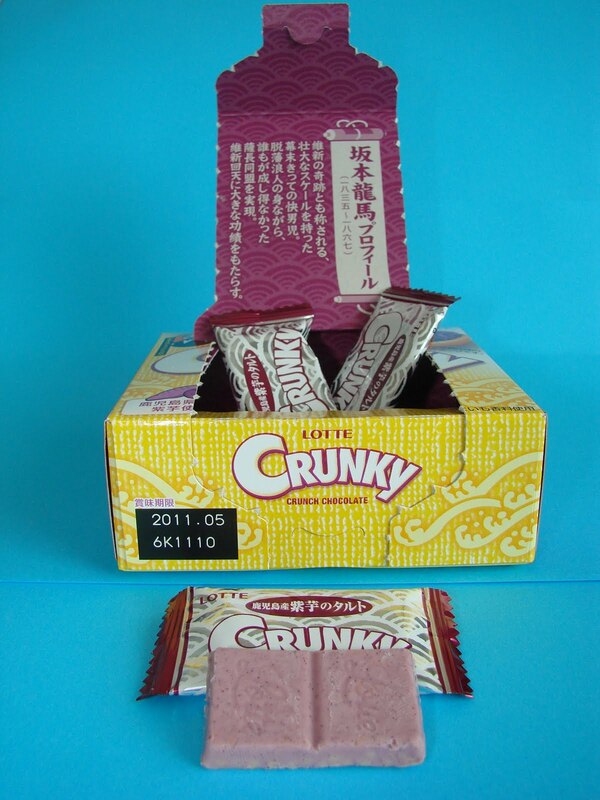 Packaging - Colorful purple and yellow box that tears easily on the top for easy access. 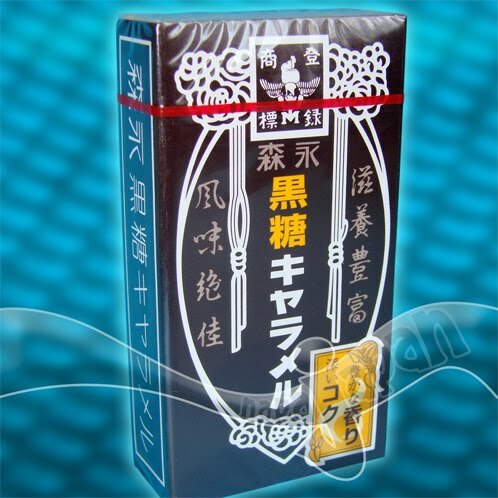 This product is part of a Sakamoto Ryoma series released by Lotte. Sakamoto was a famous samurai in southern Japan (where purple potatoes are in abundance.) There is currently a daily TV drama on in Japan telling his story. The box contains silver foil, individually wrapped mini sectional chocolates. Great for sharing! At First Glance - There is a Lotte logo stamped twice on each chocolate piece. 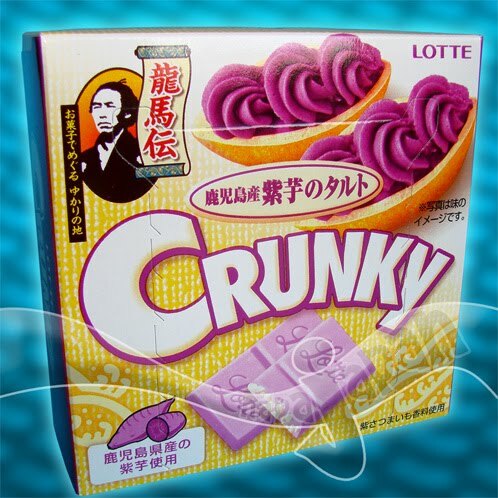 The chocolate is a light purple and when flipped over the rice puffs can be seen poking through. 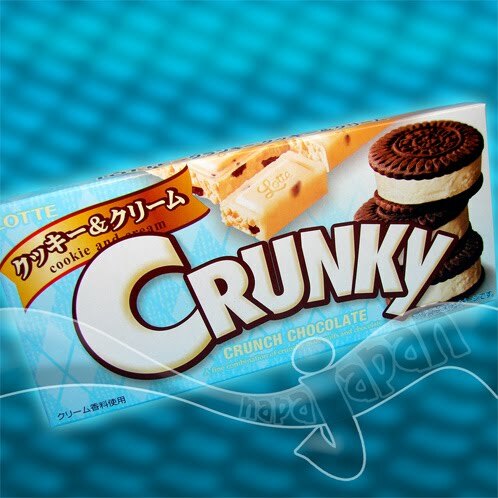 Has a delightfully sweet marshmallow chocolate aroma similar to Rice Crispy Squares. If your hands are warm you will quickly melt the chocolate so quickly pop it in your mouth. What's Inside - There is a ton of crunch in these mini bars which is surprising since they are quite flat. The rice puffs are extremely small but there are many embedded throughout each piece. The purple potato chocolate is consistent throughout. 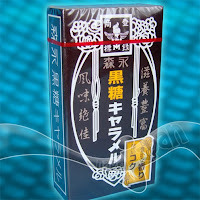 The Taste - If you like sweet chocolate you will love this product. It also has an earthy potato side to it which doesn't feel out of place. In fact it reminds me a lot of the traditional Japanese confectionery you find in tourist areas of Japan (Daigaku Imo) It has a complex flavor due to the 3 components of chocolate, purple potato, and rice crisps. The after taste is extremely pleasant. Extra Info - These didn't last long and I didn't share them as I had suggested. They were just too darn good! Despite the long shelf life limited edition Lotte products are usually not on shelves for long. In fact when Lotte introduces new flavors they tend to pull the active ones so be sure to snap up a few if you want to savor them until spring 2011. Ten Star rating - 9/10 Crispy, sweet and addictive. I think I will use the word CRUNKY to describe snacking satisfaction!